of life for our patients. bio mechanics of digestive problems. Our team pride themselves on being able to make a difference for patients of all ages. Osteopathic treatment involves the gentle manipulation of the body to bring relief and improve quality of life for patients. 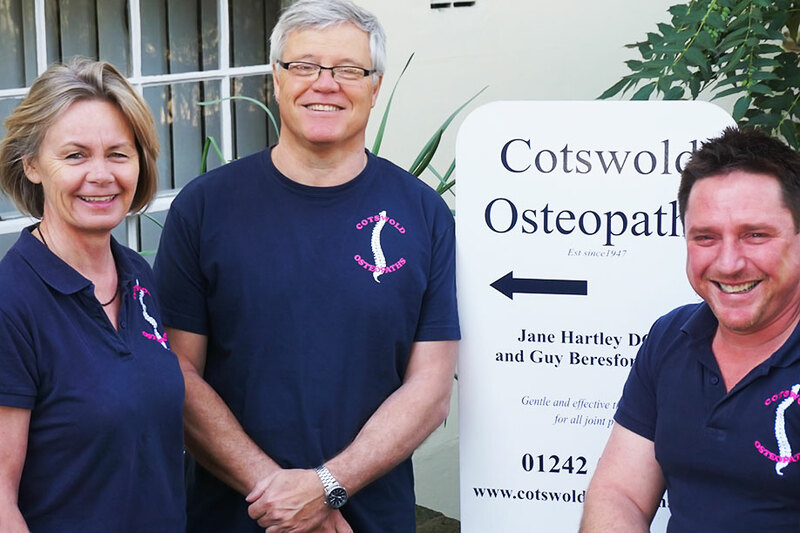 Cotswold Osteopaths is a vibrant, family practice based in the Cotswolds, and Jane Hartley and Guy Beresford pride themselves on being able to make a difference for patients of all ages. Cotswold Osteopaths evolved in it’s original form in Cheltenham under the practitioner John Carpenter in 1947. We can still boast a few patients who originally visited John and continue to intermittently return for treatment now! The osteopathic surgery was then transferred into the eminent hands of David Webster in 1972. Guy Beresford came to work with David Webster in 1985 and he and his wife Jane Hartley took over the reins in 1989 and have continued to run a successful and hugely respected Osteopathic practice for 27 years. Our surgery is open from 8.00am - 6.30pm Monday-Friday & 8.30am - 1pm Saturday. We provide services for out of hours emergency appointments.